Cary, NC – La Farm Bakery has been a Cary institution since 1999 and it now has a second location as the doors are open to its new bakery in Downtown Cary. 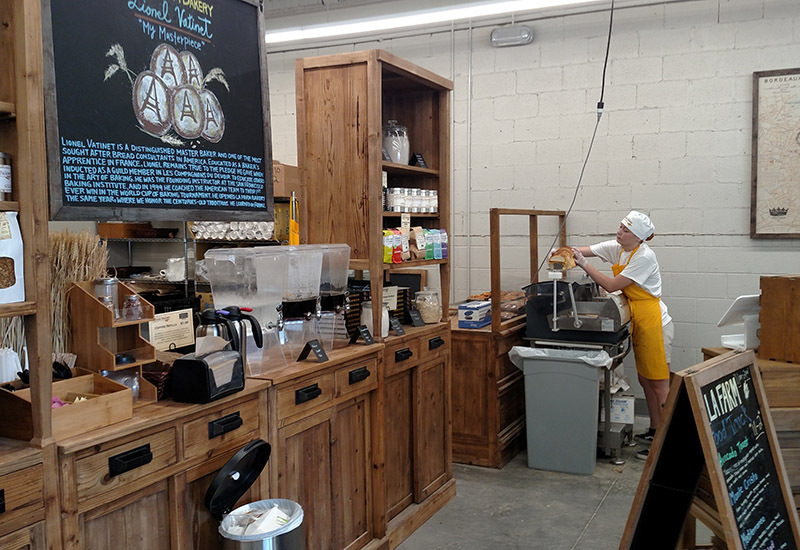 Located on W Chatham Street, La Farm’s new production bakery opened in June, making their award-winning French bread while also making pastries for in-store customers and serving coffee. Lionel Vatinet, the baker behind La Farm with his wife Missy, said the new store came from a need for a bigger space. Vatinet, a James Beard Foundation “Outstanding Baker” semifinalist, said while La Farm is now bigger, it is still a neighborhood bakery, with a focus on quality and local ingredients. Vatinet said there is no set time yet on the expansion, as he wants to wait to find the right opportunity. “We want to be like Swiss watchmakers; we want to be precise,” he said. Other projects for the new bakery include changing the façade and appearance of the Sorrell’s building but Vatinet said he also wants this to come at the right time. But he said the bakery has had the town’s support through this whole process. “The Town of Cary wants to bring in a downtown feel and they’re on board with our vision,” he said. With any expansions or growth, Vatinet said it has to retain its focus on the bread. Vatinet said he counts himself lucky for finding a love for bread so early in life and dedicating himself to it. And now, he said that passion has never left him. “All I want to do is put that passion into every loaf,” he said. 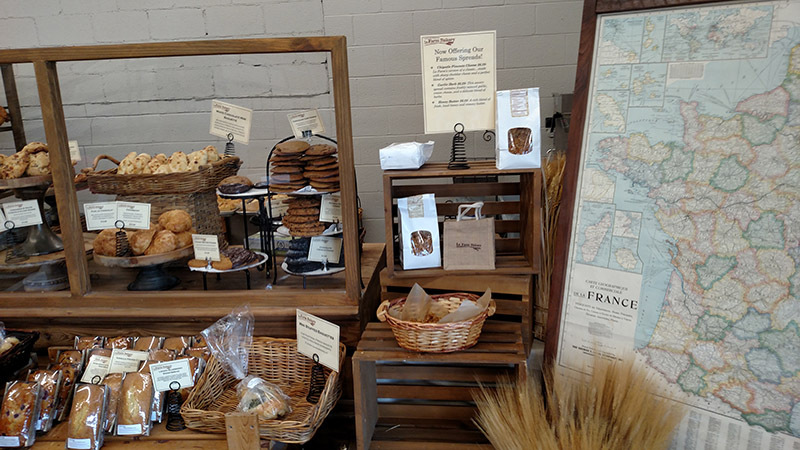 La Farm’s downtown bakery is open at 220 W Chatham St.